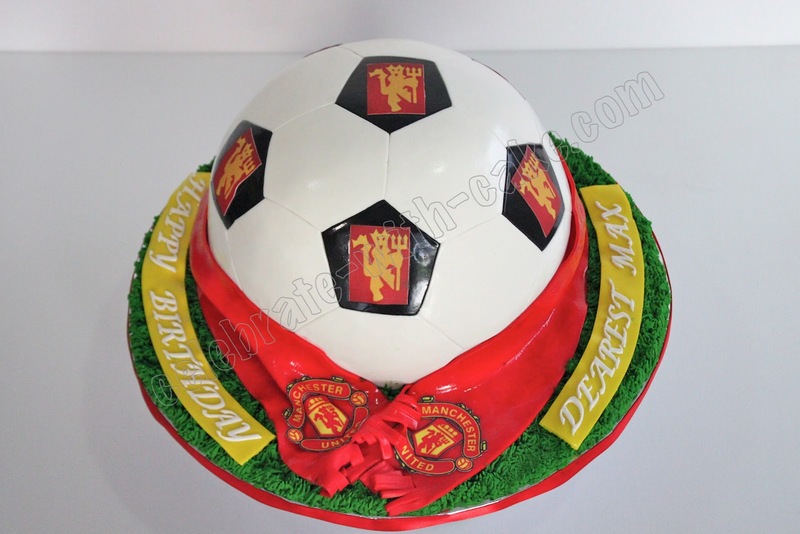 This was done for a sweet repeat orderer M. She was looking for 2 cakes in the same theme for a ManU-soccer-loving son. and got us to make these 2 cakes for his party at school and at home. Cake 1 for party at school! Cake 2 for party at home! Please email me at veronicayangxj@gmail.com on any queries with your intended party date and serving size. May I know how much is the round shape base cake?